This is a big week for people who love shoot’em ups! A rather unusual one is getting a localization. Game Tengoku CruisinMix, an updated version of Game Tengoku, is getting its English language update this week. That means PlayStation 4 owners get a version they can easily play, while those with the PC version should expect a nice patch that makes it easier to understand. This means people might have a better opportunity to understand what is going on and why this game is so important. 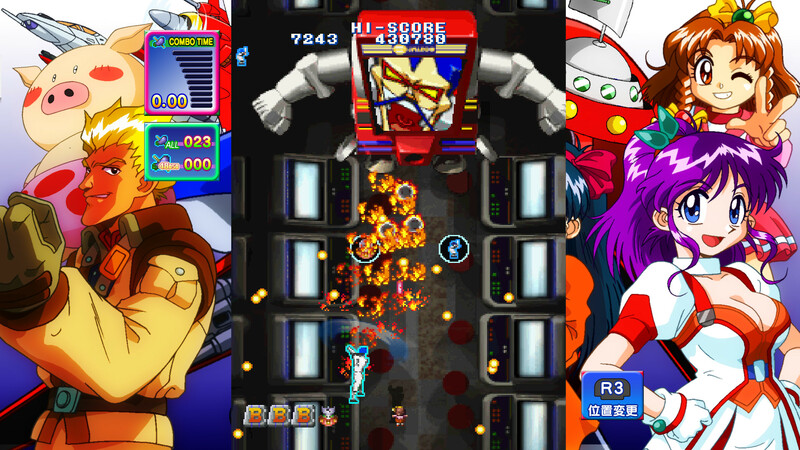 Game Tengoku is a massive crossover title that first appeared in arcades in Japan and North America, before an updated version headed to the Sega Saturn in Japan. 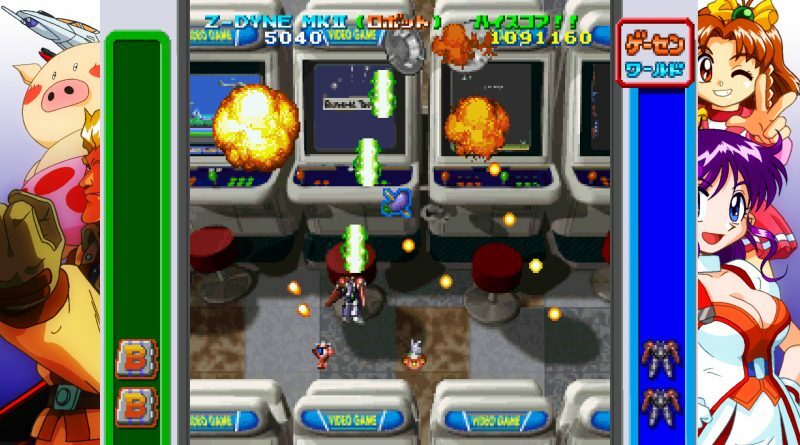 The idea is to break the fourth wall and pay tribute to all the different kinds of arcade and console games out there, as well as some of Jaleco’s most iconic characters, by having them go through a shoot’em up. Genius Yamada wants to make his Game Tengoku, a sort of perfect game heaven, by having his Genius Army take over video games. This gave Jaleco the perfect excuse to reference all of its games and different arcade elements in a single title. It all starts with Game Tengoku’s playable characters. The original game had some that made a lot of sense! It has characters from shooters like Exerion, Field Combat, Formation Z and Plus Alpha. Jeynus, Miki and Misato, Z-Dyne and Selia had established themselves as people who knew how to shoot guns, maybe while also riding around in mechs or ships. But, it also gave them an excuse to bring in people you would not expect. Momoko 120% was a platformer, and yet Momoko showed up to defend video games from Genius Yamada! Butasan’s Pig is more comfortable with bombs than bullets, but he is here too. 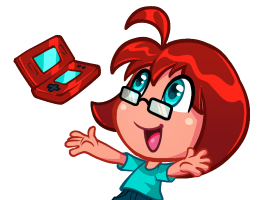 City Connection’s Clarice shows up with the a new, improved, flying ClariceCar to fight as DLC in Game Tengoku CrusinMix. She’s joined by Homura Banto, a baseball mascot who uses bats and cartridges to attack in this updated release. All of these faces, expected and unexpected, appear. The voice acting is another way in which Game Tengoku pays tribute to all things delightfully retro. Jaleco went all out when it came to getting actors for the game. Genius Yamada? He is voiced by Shigeru Chiba. 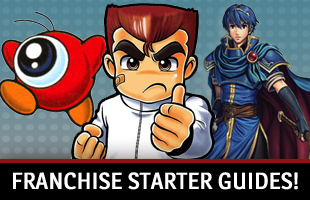 You may remember him from when he played Hyness from Kirby Star Allies, Kefka Palazzo from Dissidia: Final Fantasy, Garlic Jr., Pilaf and Raditz from Dragon Ball Z, Kazuma Kuwabara from Yu Yu Hakusho and the narrator from Fist of the North Star. Kumiko Nishihara, the voice of Yuki Ito, also portrayed Iris Chateaubriand in the Sakura Taisen series, Rouge in Ranma 1/2, Ruby in the Lunar games, Diana in Sailor Moon and Ayase Terada in Scryed. Everyone is some sort of famous face (voice?). Pig is Akio Otsuka, who was Black Jack in Black Jack, various incarnations of Snake in Metal Gear Solid and Ansem in Kingdom Hearts. Momoko’s voice actress is Hekiru Shiina, who played Mega Man in Mega Man: The Power Battle, Hikaru in Magic Knight Rayearth, Celestia Ludenberg in Danganronpa: Trigger Happy Havoc and Pastel in the Twinbee series. These are just a few examples of the star power found throughout the game. People have to get the Voice Mix DLC for these performances in Arcade Mode + in Game Tengoku CrusinMix, but having it helps act as another callback. Finally, there is the execution. Every level in Game Tengoku calls back to a specific part of gaming culture. The original arcade game started with Arcade World, which is a stage set in the You&Me Kamiyoga arcade where our heroine, Yuki Ito, works. The enemies you face are things like arcade machines and the boss is a coin-operated machine turned into a mech. After that, you head into a crane game where all of its animals are ready to attack. A more traditional shoot’em up stage follows, with Genius Yamada as a the boss in a Voltron-like mech. Depending on the version of the game, the rest of the levels vary from there. 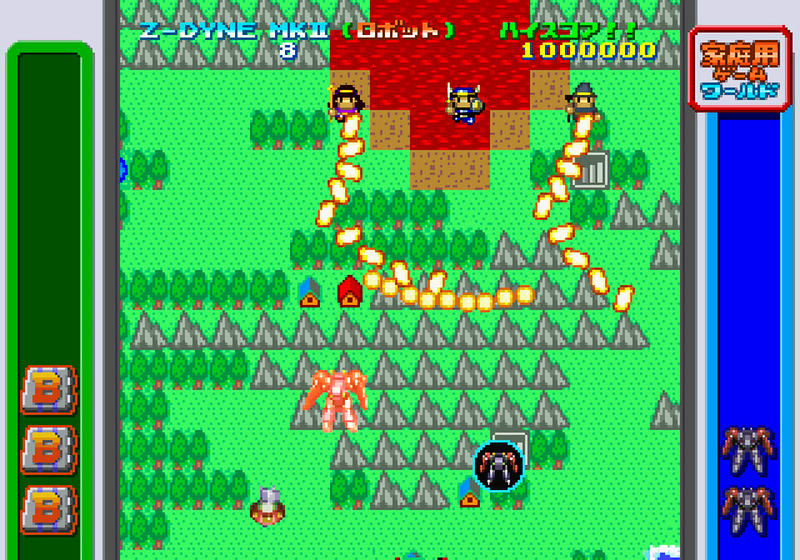 But it also goes through racing game, Space Invaders-esque, Vectrex-like, Atari-inspired, Dragon Quest-ish and Karaoke kinds of levels. Each one has enemies that call back to their source material, from lyrics of a song to a Dragonlord. It taps into everything people would know and recognize and uses it in goofy ways. 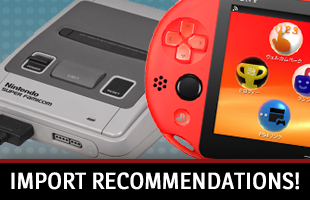 Game Tengoku is an example of a company going above and beyond with its crossover. It committed to the bit. Its goofy story of a man trying to take over games by going into them, only to be thwarted by an arcade employee and classic Jaleco icons, is delightful. It touches upon all of these familiar elements, pulls in famous voice actors and references activities we love. Thanks to Game Tengoku CruisinMix, everyone in every region gets to enjoy it. Game Tengoku CruisinMix will come to the PlayStation 4 on July 26, 2018. It is immediately available on the PC.